Huola system, The Bleak Lands region. On the 17th of December at 15:12 EVE Standard Time, Did he say Jump [JMP-N] fought against Siege Green. [SGGRN] and allies in the system over an Azbel engineering complex. 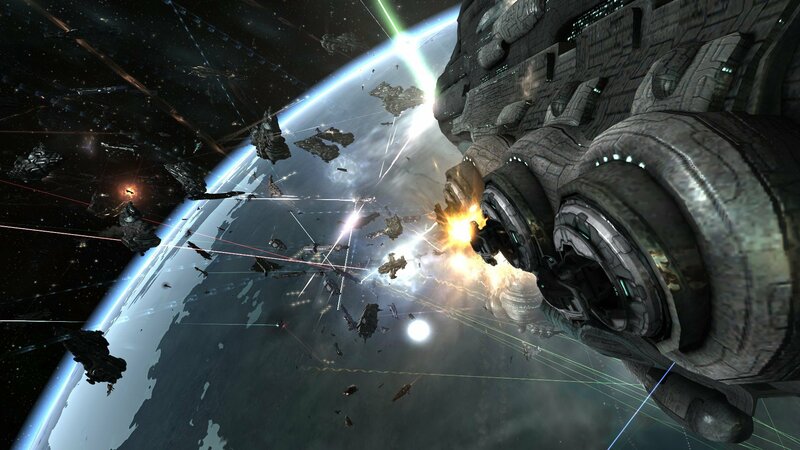 The battle was prompted by Siege Green and their allies as part of an end of the year event for the Korean EVE Online community. With Did he say Jump active in the area, and having destroyed another Azbel-class industrial complex in the neighboring Heimatar region, Siege Green was confident that they would take the bait. Thus, an Azbel was purchased and anchored in the active system of Huola, certain to attract Did he say Jump’s attention. The structure was set to online during Siege Green’s peak time. In preparation, Siege Green organized a Megathron Navy Issue battleship fleet, with allies bringing reinforcements in the form of a mix of armor battleships. The initial force numbered 50 pilots and set up near the structure, which was slowly going online. At the same time, two capital squadrons were being assembled, one composed of force auxiliaries and the other composed of combat carriers. The force didn’t have to wait long for Did he say Jump to show its face. A Did he say Jump Rattlesnake battleship fleet, estimated at 30 pilots, complete with two force auxiliaries entered the system and warped to the Azbel’s location. Spotting their rivals, the Rattlesnakes deployed sentry drones and prepared to engage. The defenders did not flinch and burnt in to close range, opening fire. Heavy blaster fire met salvos of cruise missiles as the two fleets tangled at close range. However, the two sides proved to have robust logistics wings, resulting in a stalemate. Cruise missiles exploded harmlessly against thick armor plates as blaster fire was easily deflected by reinforced shields. For a few minutes both sides tried to switch fire and probe for weaknesses in each others’ fleet, but to no avail. All the while, Siege Green rushed to prepare its capital force. With the capitals ready, a cynosural beacon was lit on the field and the Siege Green reinforcements rushed in. The combat carriers wasted no time releasing flights of fighter squadrons. Together with the fighters, Siege Green and its allies managed to overwhelm the logistics wing of Did he say Jump. A few Rattlesnakes were volleyed off the field in rapid succession. With their fleet clearly broken, Did he say Jump fleet commanders had the ships that were still able to retreat withdraw back to their staging system of Siseide in the Heimatar region. Those battleships that were caught were easily disposed of by the defenders. With the last sub capitals destroyed, Siege Green turned its attention to the two force auxiliaries still cycling their triage modules. The immobile Minokawa and Lif force auxiliaries attempted to hold out against the onslaught but as hard as they tried, they could not avert their doom. One by one they fell, occupying their enemies attention for a good few minutes. With the field secured, the defenders regrouped, looting the field and stashing the salvage in the station before returning to the field. By this point the fleet numbers had risen up to 90 pilots on the field. Did he say Jump, to their credit, decided to go for a second round and re-shipped, bringing a Machariel battleship fleet with a dreadnought squadron. All in all, Did he say Jump’s numbers were estimated at 40 pilots. The battle flared up once more as Did he say Jump warped back to the field, the two sides tangling again in close quarters combat. This time, the battle was violent from the start. Autocannons blazed to life, returning fire at the hulks of Megathron Navy Issue battleships which kept spitting blaster fire. Dreadnoughts entered siege cycles and opened fire, targeting the force auxiliaries as the entire defending fleet focused its fire on them. An ugly exchange commenced as Ninazu and Apostle force auxiliaries were brought down, easily overwhelmed by the dreadnoughts on the field. Yet, as the light of their explosions faded, it was swiftly answered by that of dying Did he say Jump dreadnoughts. The defending fleet was able to tear through the Did he say Jump capitals, answering each of its force auxiliary losses with Did he say Jump’s dreadnoughts. As the battle raged, a third party entered the system. WAFFLES. [N0MAD] had been informed of the timer and had formed in secret in range of Huola. WAFFLES hoped Did he say Jump would escalate further, even bringing super capitals to the field. However, with the battle swinging rapidly in Siege Green and their allies’ favor, and with no sign of Did he say Jump preparing to commit further assets, as they were even deploying cynosural inhibitors on the field, WAFFLES decided to act. Swiftly, the WAFFLES 60 pilot Machariel fleet bridged in to a perch above the field and warped down to the maelstrom of battle. As its fleet landed they lit a cynosural beacon and let their dreadnoughts enter the fray. Once on grid, the dreadnoughts activated their siege cycles and started blasting the Did he say Jump capitals, bolstering the already formidable firepower of the defenders. Did he say Jump, seeing this, decided to withdraw immediately. They had already been hard pressed and were suffering losses against Siege Green and their allies, but with the appearance of WAFFLES on the field, defeat was certain. Thus, all those that were able once again fled the field, leaving those immobilized by their siege cycles or tackled by the enemy fleet at the mercy of Siege Green and WAFFLES. For their part, the two fleets cleared the grid, destroying every tackled and helpless ship that was still stuck on the field. Once the system was secured and all stragglers removed, the two forces departed, the Azbel already online and secure and a battle achieved. Thus, the battle ended. All told the battle on its 2 parts lasted 38 minutes with Time Dilation not reported and the system hosting an estimated 230 pilots near the end of the fight. Siege Green. and their allies lost 10 ships in the battle, including 4 force auxiliary and 1 battleship for a total of 12.75 billion ISK damage. 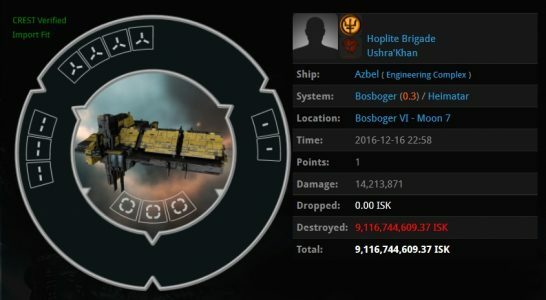 Did he say Jump lost 35 ships including but not limited to 10 dreadnoughts, 3 force auxiliary, 1 carrier and 14 battleships for a total of 63.07 billion ISK damage. WAFFLES. suffered no losses in the battle. Hi there, I found your blog by way of Google while searching for a related topic, your web site got here up, it seems good. I’ve bookmarked it in my google bookmarks. Simply wanna input that you have a very decent internet site , I the layout it actually stands out. Good – I should definitely pronounce, impressed with your web site. I had no trouble navigating through all tabs and related info ended up being truly easy to do to access. I recently found what I hoped for before you know it at all. Quite unusual. Is likely to appreciate it for those who add forums or anything, website theme . a tones way for your customer to communicate. Excellent task..
Oh my goodness! Awesome article dude! Thanks, However I am experiencing problems with your RSS. I don’t understand the reason why I can’t subscribe to it. Is there anybody else getting similar RSS issues? Anyone who knows the answer will you kindly respond? Thanks!! Thanks for your information on this blog. 1 thing I would like to say is always that purchasing electronics items in the Internet is certainly not new. The fact is, in the past ten years alone, the market for online electronics has grown significantly. Today, you can find practically any specific electronic gadget and devices on the Internet, from cameras as well as camcorders to computer spare parts and gaming consoles. How do you find various blogs on Blogger with key phrase or search? What is a blog site topic that you would certainly locate fascinating to check out? What i don’t realize is if truth be told how you’re no longer actually a lot more smartly-favored than you may be right now. You’re so intelligent. You know therefore significantly on the subject of this subject, made me for my part believe it from a lot of numerous angles. Its like men and women don’t seem to be interested except it¡¦s something to accomplish with Woman gaga! Your individual stuffs nice. At all times handle it up! EY9x6l This is very interesting, You are a very skilled blogger. I have joined your rss feed and look forward to seeking more of your great post. Also, I have shared your site in my social networks!